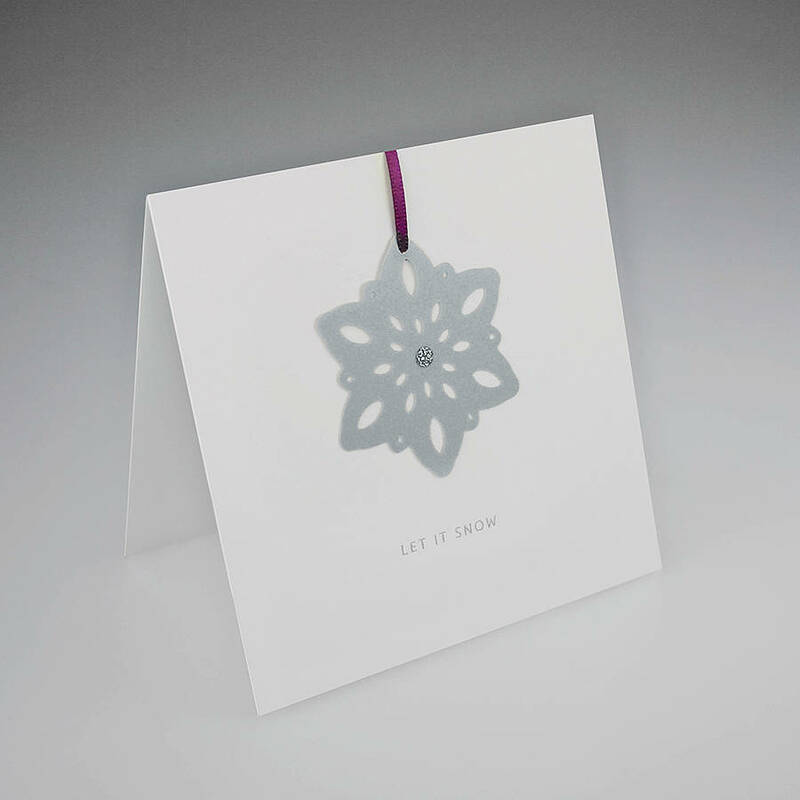 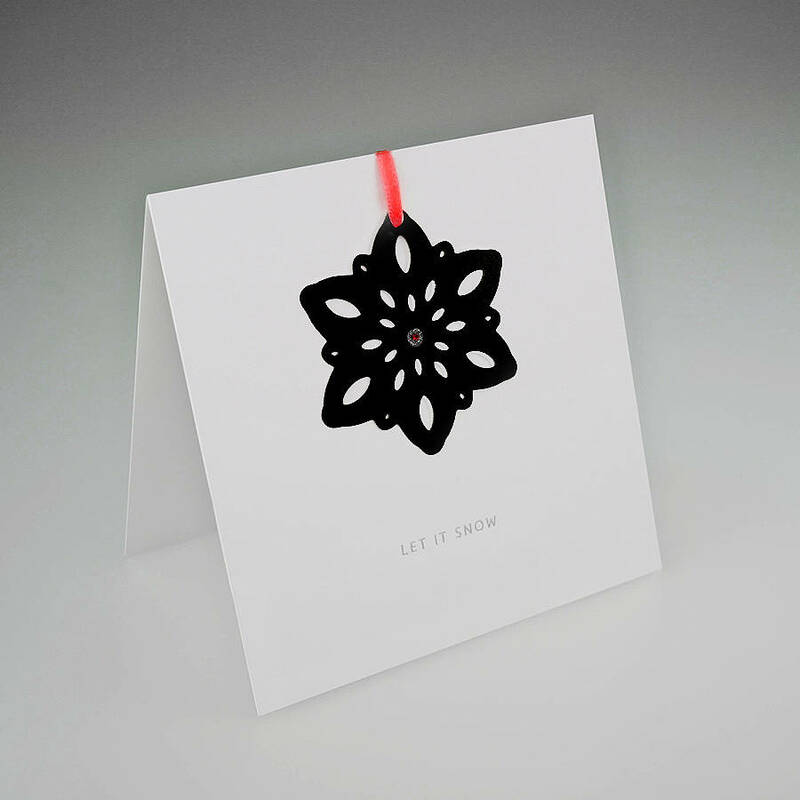 This card has a simple snowflake cut from either gold, silver or white paper. 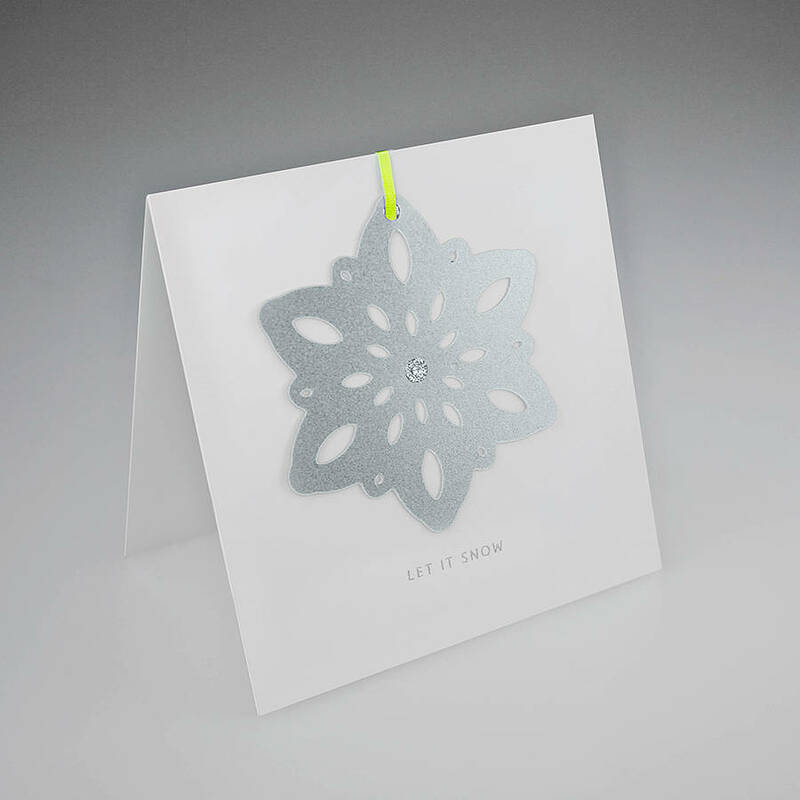 Each snowflake dangles from a range of brightly coloured ribbon. 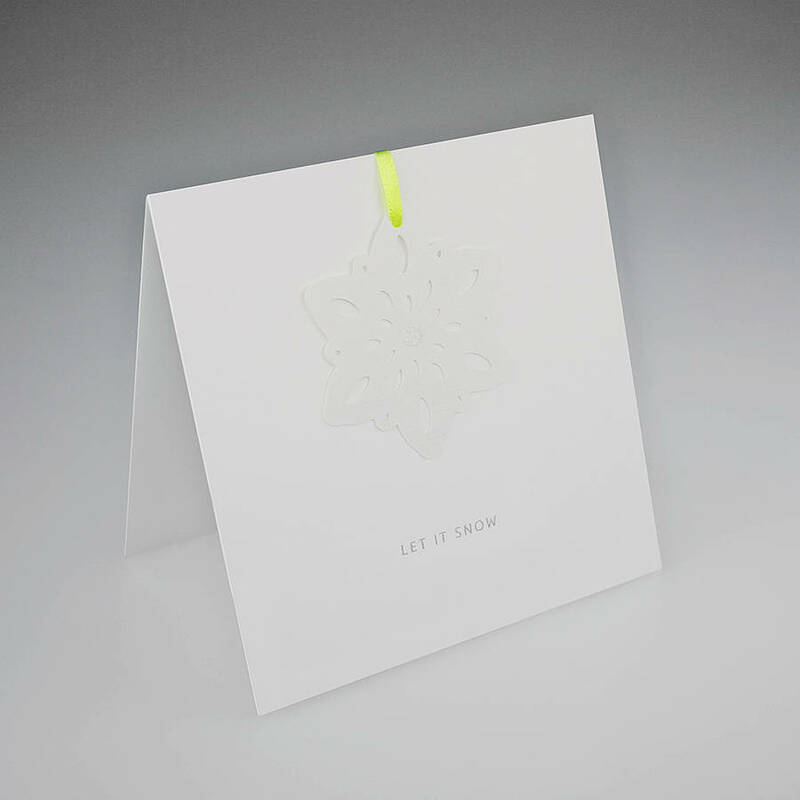 After your snowflake colour choice, the card and ribbon colour is then picked at random from our stock. 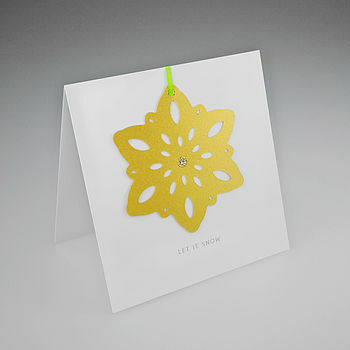 The large cards are 14 x 14cm and the small cards are 11 x 11cm. Perfect for your closest family and friends. 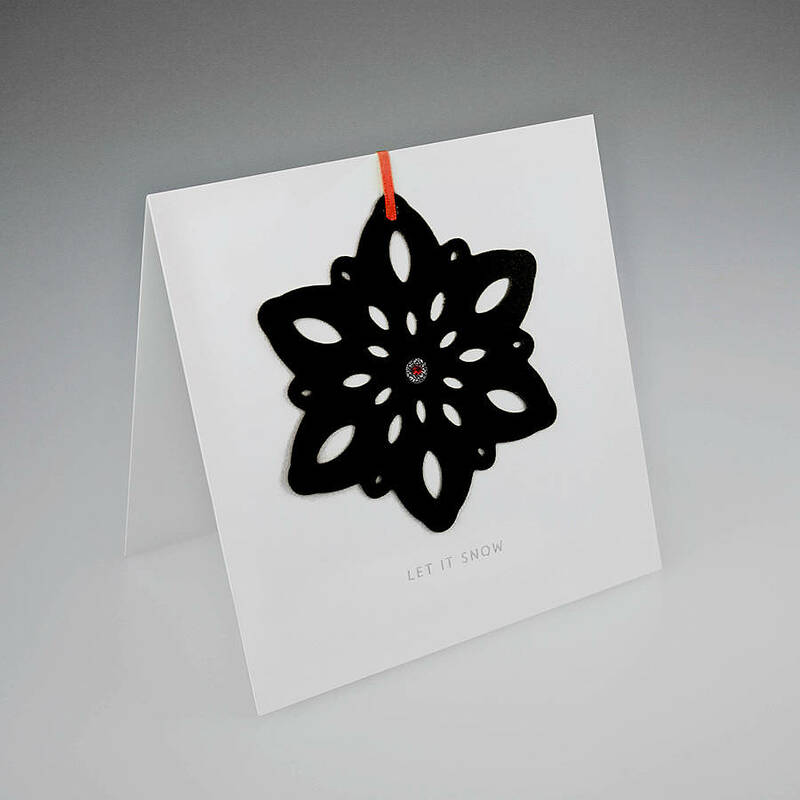 This product is dispatched to you by Hupa Lupa.